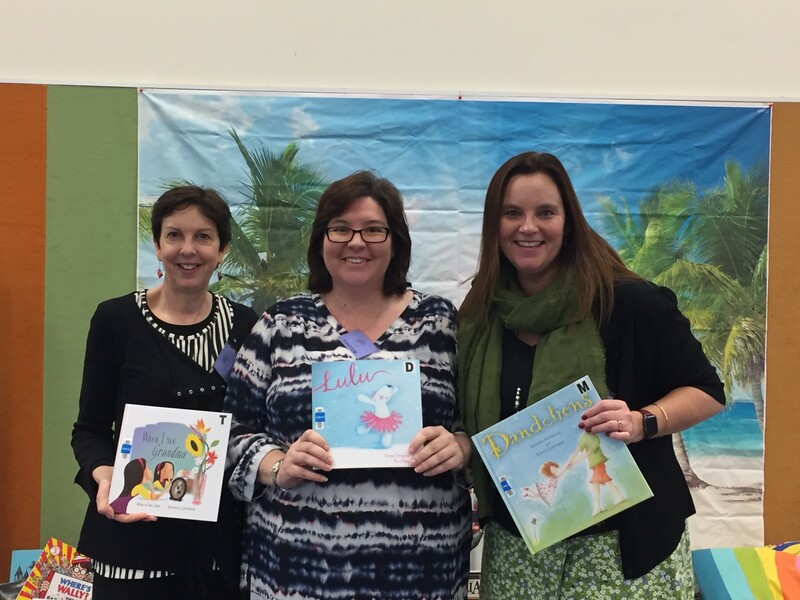 This is the second instalment of my interview with go-getter Katrina McKelvey about the path to publication of her picture book, Dandelions, and the three more picture books on the way. 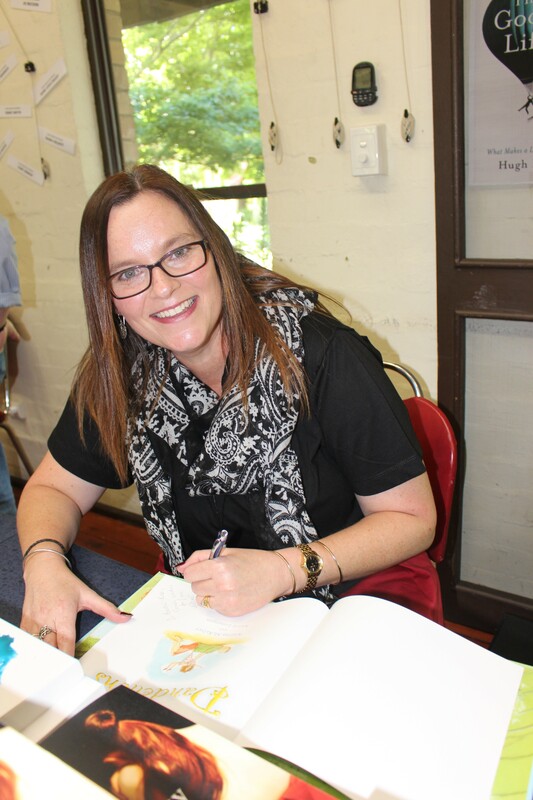 To review how Katrina started pursuing her interest in writing for kids, developing networks and honing her skills, read part one here – it really is a fun read! In this instalment, Katrina gives us a nuts and bolts look at how her books came to be picked up by publishers. Katrina, were you writing a long time before submitting any manuscripts to publishers? I jumped in and started submitting my first picture book to publishers before I had even started writing a second one. My first submission in July, 2011, about 5 months after I started writing it, was submitted too early – a rookie mistake. That manuscript is still in the bottom drawer. I started writing my second manuscript in March, 2012 (after I got over the rejections of the first one) and started submitting it in the October, 7 months later. Again, too early. I’m proud to say this one made it onto the shelves in October, 2015 after a few rewrites. Over the next few years I wrote many manuscripts that couldn’t get any attention from publishers. I was starting to worry and I was putting too much pressure on myself. After a lot of hard work and persistence, I had a second manuscript accepted in May, 2017. Early in my career I submitted too early, but now I’m more disciplined. I let manuscripts bubble away between drafts, have them critiqued by both my writing groups and a freelance editor before I submit them to publishers. My manuscripts go through the wringer and I still get rejections. It’s exhausting sometimes. How did you know when they were ready to submit to a publisher? Does anyone really know? It’s a bit of a mystery when manuscripts are ready. Isn’t it all about finding the right publisher at the right time with the right manuscript? It’s a combination of timing, luck and a lot of hard work. The truth is I don’t think I really know until I start getting professional feedback, good and bad. Good luck with the critique! I can see how important professional feedback can be. What other feedback do you get and from whom? I get feedback from my writing groups, my husband (he edits everything for me) and my children (they sit and let me read dummy books to them), face to face assessments with editors/publishers, paid editor assessments at conferences, and the odd occasion on a rejection letter from commissioning editors sifting through slush piles. It can be scary to submit your work to the scrutiny of others, although I can see how you have begun to relish the the feedback. How did it make you feel to put your work ‘out there’ in the early stages? 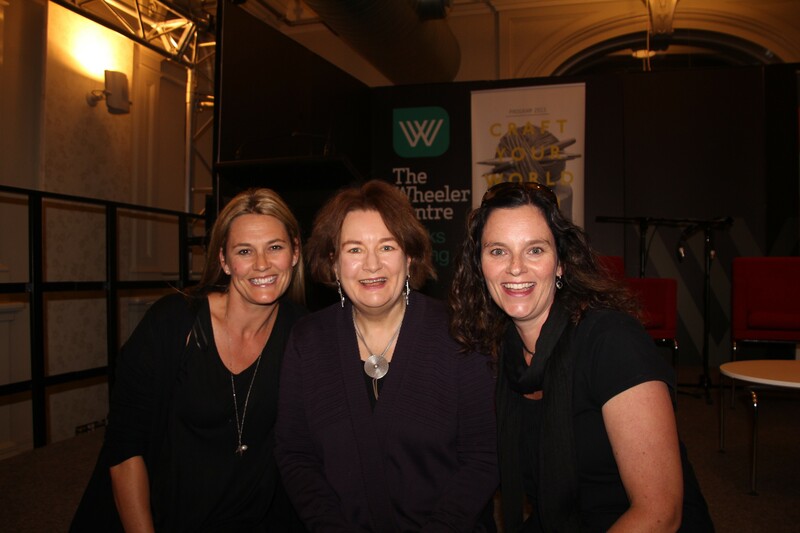 The very first time I read my manuscript aloud to real people who didn’t know me was at the live pitching session at the SWF (see last instalment). That was just crazy! I was a nervous wreck both times but was determined to get feedback. I wasn’t a member of a writing group so I had limited opportunities. So your determination got you over the line! Was Dandelions the first book you wrote/submitted to a publisher? It was my second attempt at writing a picture book and submitting to publishers. It was rejected several times until I finally realised I had to break my main character’s heart. I was being too nice to her. Dandelions was a collaboration with Kirrili Lonergan. Did you pitch your book together? If not, how did you get to team up with Kirrili? Kirrili Lonergan, Anouska Jones (EK Books), and I did work collaboratively but it didn’t start that way. Kirrili and I had a dream of being published together since early 2011 but we were learning quickly it may not happen this way. We were both unpublished at the time and most publishers weren’t keen on pairing new authors with new illustrators. Kirrili had drawn one illustration for me. I’d included it in my submission to publishers late 2012. EK Books wasn’t one of them as they were just starting out and weren’t formally open for submissions at that point. At the same time, Kids Book Review (KBR) held monthly writing competitions. In November, 2013 the theme was yellow so I submitted Dandelions. Anouska was on the KBR team at the time and was the judge for that month. After the competition, she emailed me letting me know a new imprint, EK Books, was looking for picture books for their list and she was interested in my manuscript. As she guided me through some rewrites, Kirrili sent Anouska her illustration portfolio. Anouska then teamed us together after seeing Kirrili’s work. So we didn’t pitch together but we were very lucky to be made a team. Anouska saw our vision and made it a reality. That’s a great story about submitting to competitions and where that can lead! What stage were the illustrations in at the time the manuscript was accepted? Kirrili had only completed the green dandelions illustration (below) and had included it, along with other samples of her work in her illustration portfolio submission to EK Books. Then she was asked to do a few character sketches and one coloured double spread before we were offered a contract about 6 months later. 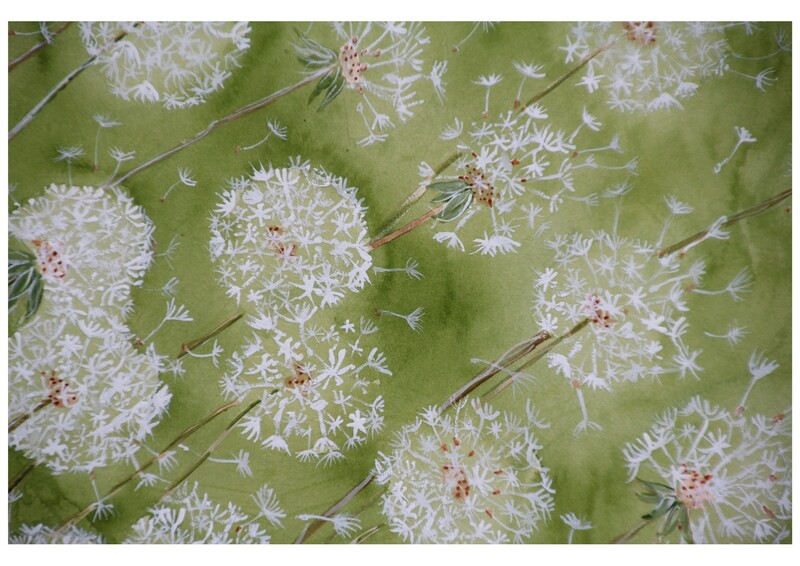 The illustration of the green dandelions became our endpapers. I love the endpapers! I remember you wrote a blog post about endpapers on your website a while ago. And EK Books are also publishing another of your stories? I have a second manuscript contracted with them called, Up To Something which is scheduled to be released in May, 2019. Kirrili will also be illustrating that one so we’re very excited to be working as a team again. This was a direct submission. It’s about a father, his son, building things, and a big race. That will be awesome working with Kirrili again. You also have two more new books coming out with another publisher. What can you tell us about your new books and how they came to be picked up? I have two picture books with Big Sky Publishing. I sent them two manuscripts, one month apart mid last year via their slush pile. I was extremely lucky they loved both of them. The first one is called, No Baths Week illustrated by Cheri Hughes due for release October, 2018. It’s about a boy named Ben, and his furry best friend Bandit (a dog) avoiding having a bath for a week. It’s full of fun, adventure and mess! I could show you the cover, but I’d better not – I’ll get into trouble! The second one is called, Chasing Rainbows due for release early 2019. It’s about siblings, Xavier and Sophie desperately wanting to find out what’s at the end of the rainbow. What they discover will change the way they see rainbows forever.